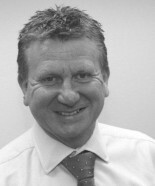 Mike has 35 years of continuous employment within the construction industry holding Management and Director positions with Wiltshier Ltd, Ballast plc and Mowlem plc. He is a major shareholder and has overall joint responsibility for all construction and business activities within WW Martin Ltd.
management. He has particular experience in partnering, long term strategic framework, negotiated and two stage procurement routes. Ian has 37 years’ experience in the industry, a career that started as a bricklaying apprentice with WW Martin before he went on to hold Management and Commercial Director Positions with Mowlem plc and Carillion plc. He is a Member of the Chartered Institute of Building, has a Master’s Degree in Law and is a Fellow of the Institute of Arbitrators. Ian has been with WW Martin since 2011 and is a major shareholder with overall joint responsibility for all construction and business activities. He has worked across all construction sectors and is responsible for all commercial matters from Tender to Final Account. Ian has worked on a number of prestigious projects such as the new Twickenham South Stand and Hotel, Cumberland Hotel Project in Park Lane and AIG’s new European Headquarters in Fenchurch Street. He works closely with the Client and Consultants to ensure that budget control is maintained throughout the project and that risk control measures are implemented. 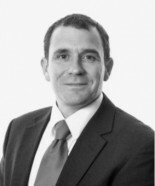 Neil joined WW Martin back in 2010, he is a major shareholder and is responsible for finance, information technology, human resources, training and the company's fleet of vehicles. 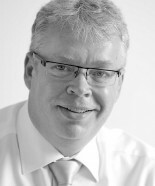 Neil is a fellow of the Association of Chartered Certified Accountants. 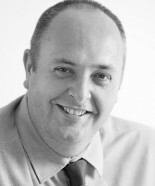 He trained and subsequently qualified in 1999 with Kreston Reeves (formerly Reeves and Neylan) Chartered Accountants. He has worked within the Building Industry for the past twenty years firstly joining a civils based contractor as a management trainee which provided an excellent grounding in site engineering, site management, procurement and surveying. His career progressed mainly in procurement for both regional and national contractors specialising in all types of construction. Trevor was appointed to the Board of Directors in October 2017 and will provide extensive construction expertise to WW Martin. Trevor has over 30 years of experience and knowledge in the construction industry having first entered as an apprentice bricklayer. 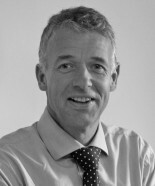 During his career, Trevor has previously held the position of Site Manager, Project Manager, and Senior Contracts Manager for Wiltshier's (owned by Ballast PLC) and later Denne Construction who were subsequently acquired by Bouygues UK. Since joining WW Martin in 2015 as a Senior Contracts Manager, Trevor has demonstrated his commitment and determination to help ensure the successful delivery of our projects. This, coupled with his cross sector experience and a pro-active attitude, will ensure the highest of quality standards are delivered across all of our projects.